In this talk, Janice Jiggins unpacks questions about who does what on farms, why gender discrimination matters, in particular for equality, poverty and climate change, and the wider current challenges. Additionally, elsewhere on this site she gives a range of examples which illustrate the themes she touches on in this brief overview - click on the specific example of interest: Shea nut cooperatives in Mali, agro-ecology in China, from pesticides in Ecuador to Push-Pull pest control in Africa, a new kind of supermarket in The Netherlands, and Incredible Edible citizen action the UK. Galié, A. (20140 Feminist Research Approaches to Empowerment in Syria. Chapter 11, 284-310, in s. Brisolara, D. Seigart, S. SenGupta (Eds.) Feminist Evaluation and Research: Theory and Practice. Guildford Press, Abingdon, Oxford U.K.
Narula, S. and Sacerdoti, G. 2006. The Right to Food: Holding Global Actors Accountable Under International Law. Colombia Journal of Transnational Law. 44, part 3; 691-800. Pretty,J. et al. 2010. The top 100 questions of importance to the future of global agriculture. IJAS 8(4), 219-236. Van Huis, A. 2003. Insects as Food in Sub Saharan Africa. Insect Science and its Application 23:3, 163-218. Von Crebmer, K. et al. 2009. Global Hunger Index: the challenge of hunger. Focus on financial crisis and gender inequality. Bonn: Deutsche Welthungerhilfe, Washington DC: IFPRI. Dublin: Concern Worldwide. Brunori, G., Jiggins, J., Gallardo, R. and Schmidt, O. 2008. The 2nd SCAR Foresight Exercise. New challenges for agricultural research: climate change, food security, rural development, agricultural knowledge systems. EU Commission-SCAR, Brussels. DEFRA. 2009. Priorities for Food 2030. Department of Environment, Food and Rural Affairs, London. De Schutter, O. 2008. Interim report of the Special Rapporteur on the right to food, presented to the United Nations General Assembly (63d session) (UN doc. A/63/278). De Schutter, O. 2009. Seed policies and the right to food: enhancing agrobiodiversity and encouraging innovation. Report presented to the UN General Assembly (64th session) (UN doc. A/64/170). De Schutter, O. 2010. Addressing Concentration of Food Supply Chains. The role of Competition Law in Tackling the Abuse of Buyer Power. Briefing Note 03. December. New York: UN Human Rights Council. FAO. 2009. State of Food Insecurity in the World, 2009. Rome. FAO. Farnworth, C. and Hutchings, J. 2009. Organic Agriculture and Women’s Empowerment. IFOAM. Germany. IAASTD. 2008. Agriculture at a Crossroads. The International Assessment of Agricultural Knowledge, Science and Technology for Development. Washington DC and London. The Island Press. The All Party Parliamentary Group on Agriculture and Food for Development. 2010. Why No Thought for Food? A UK Parliamentary Inquiry into Global Food Security. Westminster, London. APPG. The Royal Society. 2009. Reaping the benefits. Science and the sustainable intensification of global agriculture. London. The Royal Society. UNDP. 2009. Human Development Report. New York. UNDP. United Nations. 2010. World Population Prospects: the 2008 Revisions. Population Division of the Department of Economic and Social Affairs. New York. United Nations. March. World Bank. 2009. World Development Report 2009. Washington DC. Farnworth, C., Jiggins, J., and Thomas, E.V. eds. 2008. Creating Food Futures., Aldershot (UK): Gower Publishing Ltd.
Song, Y. and Vernooy, R. 2010. Innovation in Rural Development in China. Ottawa and London: IDRC and Practical Action Publishing. The Gender Summit 4 - EU, "From Ideas to Markets: Excellence in mainstreaming gender into research, innovation, and policy" (Brussels, June 2014). The focus is on gender as a cross cutting topic in Horizon 2020, the latest 80bn Euro Research and Innovation funding programme of the European Commission. Experts from research, industry and policy consider gender research evidence and the ways of improving the quality and impact of research and innovation through the inclusion of gender in science knowledge making and application. See www.gender-summit.com for more. Throughout her career Janice Jiggins has sought to apply the social sciences to problems and policy issues in agriculture, natural resource management, and reproductive health. She led field studies in Sri Lanka and Zambia for a number of years, and has worked in the field and in policy advisory roles throughout South Asia, sub-saharan Africa, and Europe, focussing on extension, farming systems, gender relations and women’s livelihoods, integrated pest management, and water management at catchment scale, and has contributed numerous articles, books and book chapters on these themes. In recent years she has worked as an author for national, regional and global assessments of food security and sustainable farming futures, including the International Assessment of Agricultural Knowledge, Science and Technology, and the UK government’s recent Foresight exercise. She has acted as consultant for a range of UN organisations and the World Bank, bi-lateral development agencies, national governments and foundations. From 1998- 2001 she was appointed Professor of Human Ecology at the Swedish University of Agricultural Sciences, Uppsala, where she helped establish a new department for Rural Development Studies. She currently holds the position of Guest Researcher, Knowledge, Technology & Innovation theme, Wageningen University, The Netherlands. 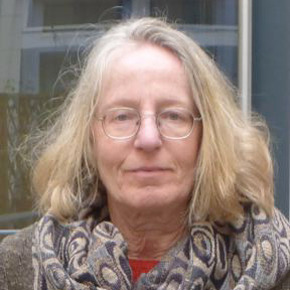 She is a member of the governing councils of ILEIA, the Netherlands, and icipe, Nairobi. For the last four years she has been a member of the Research Associates Support Team, that has been guiding action research under the Convergence of Science-Strengthening Innovation Systems programme, in nine agro-enterprise domains in Benin, Ghana, and Mali. Janice Jiggins is currently not available for follow-up via the internet.